Furious 8 Gets a Release Date: When Is It? Sure, it was widely known that Furious 7 would not be the last chapter in the Fast and Furious series. And given the fact that Furious 7 has banked $1.158 billion so far at the international box office, it’s not hard to believe that Furious 8 will arrive sooner than later. During Universal Pictures’ presentation at CinemaCon, they had a surprise guest make a surprise announcement to the theater owner association. Vin Diesel took to the stage and announced that Furious 8 would hit theaters on April 14, 2017. 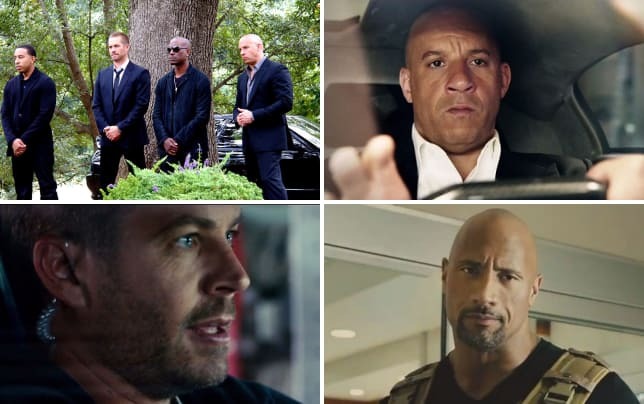 You can understand why Universal is just a little bit happy with Furious 7. It is the first film in their history to cross the billion dollar box office mark during its initial run in theaters. Jurassic Park went over a billion, but only after its 3D re-release back in 2013. Stay tuned for more as we get news on production details, when they start shooting and all that Fast and Furious goodness! Watch Fast and Furious 6 online and check out where we last left our favorite speed demons.